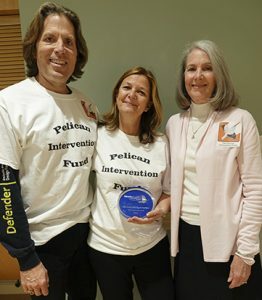 Dedicated to supporting local men and women on their journey from addiction to recovery, PIF is a non-profit, grassroots, volunteer group serving the communities of Newburyport, Newbury, Byfield, West Newbury, Amesbury, Salisbury, Groveland, Merrimac and Rowley. 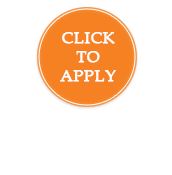 PIF’s goal is to provide funding for 12-Step based long-term residential treatment for economically challenged adult men and women struggling with heroin and other addictive substances and living within the Greater Newburyport area. The 12-Step Program is a non-medical model based on the program used by Alcoholics Anonymous. It costs an average of $15,000 for the first three months and is not covered by most health insurance. “We decided to look into establishing a fund to help other people,” Kim Keene said. “That’s how we met Elizabeth,” at a prayer group at Immaculate Conception Church. “Our daughter is in recovery,” McCarthy said. “I am so grateful she is in recovery and I want others to have the opportunity to attend a 12-Step long-term residential program. Not only do they learn the steps, but they find support there, hope, purpose, and they begin to reclaim their lives. PIF is a fund of the Essex County Community Foundation (ECCF), which promotes philanthropy in Essex County by managing charitable funds for donors, providing grants and services to nonprofit organizations, and engaging in community leadership initiatives. Addiction, especially to opioid-based substances has become an epidemic, death rates are rising. and it impacts a wide range of ages and socioeconomic levels of society. To date, PIF has raised over $175,000 mostly from private donations and placed 29 clients in 12-Step based long-term residential treatment. PIF pays for the first three months of treatment. The expectation is the residents do not have to work for the first three months because their job is recovery. After three months they still live in the recovery community but begin to work outside. As they begin to work they start to pay for their own stay. “They learn accountability,” McCarthy said. “Slowly they have to begin learning to be honest, open, accountable, caring, and grateful. An attitude of gratitude is a big one. They heal at the roots. It’s more than being chemically sober. They are learning emotional sobriety. PIF has received, and continues to receive, the support of the Greater Newburyport community. “We’ve received some grants from banks,” Kim Keene said, “but the bulk of it is individual donations from people in the community, who might be touched by this epidemic. Last winter a group of kids from Newburyport Youth Services had a hot cocoa stand for use and sent us a check for $38. It was so sweet. “Everybody is giving of themselves,” McCarthy said. “We’re the messenger, but without them responding to the message we could not fund these people, 29 people so far. The youngest is 23 and the oldest is 53. PIF is hosting several fundraisers, including one at Flatbread Pizza in Amesbury, and will be one of the beneficiaries of the 15th Annual Newburyport Chocolate Tour on Saturday, May 19. This summer, John and Carol Elwell of Maple Crest Farm at 102 Moulton St., West Newbury, will donate a portion of berry picking at a date to be determined. For information on upcoming events, to make a donation, to volunteer, or to apply for assistance, go to www.pelicaninterventionfund.org. Communities throughout Massachusetts and across the nation have been touched by the upsurge in opioid addiction, but Essex County has been particularly hard-hit. According to the Essex County Community Foundation　(ECCF), admissions to drug treatment in Essex County, with the primary drug identified as heroin, have surged 60 percent since 2005, compared to a 45 percent increase in the state and a 37 percent increase in Middlesex County. By 2014, heroin and other opioids were responsible for 60 percent of admissions in Essex County, up from 46 percent in 2005. Total drug treatment admissions in the county were up 15 percent as compared to 4 percent in the state and 9 percent in Middlesex. Essex County’s rate of admissions, 136 per 10,000 residents, was below the state rate of 154 but far higher than the Middlesex County rate of 90. Drug overdose deaths have increased to a rate of 2.0 per 10,000 residents in Essex County, which higher than the state (1.6), nation (1.4) and comparable counties (which range from 1.0 to 1.2). On average from 2012 to 2014, 400 people died annually in Essex County due to drug overdoses, whether accidental or intentional.